Federico Moreno Torroba (b Madrid, 3 March 1891; d Madrid, 12 Sept 1982). Spanish composer, conductor and critic. He first studied music with his father, José Moreno Ballesteros, an organist and teacher at the Madrid Conservatory, and with whom he collaborated on his first zarzuela, Las decididas (1912). He later studied composition with Conrado del Campo at the Royal Conservatory, where his tone poem La ajorca de oro was first performed in 1918. In 1924 he married Pilar Larregla, the daughter of a Navarrese composer; the folk music of Navarra along with that of Castile was to serve as a major source of inspiration in his music. Although not a guitarist himself, in the 1920s his growing friendship with Segovia inspired him to begin writing for the guitar, and the resulting compositions such as Sonatina (1924) and Piezas características (1931) are among his finest works. He also established himself as a composer for the stage, and his zarzuela La mesonera de Tordesillas was first performed to critical acclaim in 1925, while his most famous zarzuela, Luisa Fernanda (1932), is a representative of the last flowering of the zarzuela grande. Between 1925 and 1935 he was active as a music critic for Madrid periodicals, especially Informaciones, and used this position and his brief term in the Second Republic's five-member Junta Nacional de Música to promote greater government support for music. With the outbreak of the Civil War in 1936, Moreno Torroba retreated to Navarra with his family, avoiding involvement in the conflict. With the ascendancy of Franco he became one of the dominant figures in Spanish music, along with Turina and Rodrigo. Rejecting the European avant garde, they embraced a conservative nationalist aesthetic that was accepted in the new political environment. In 1946 he formed a zarzuela company that toured the Americas for two seasons (he had directed productions of his zarzuelas in Buenos Aires annually since 1934). In the 1950s Moreno Torroba's satirical zarzuela Bienvenido, Mister Dolar (1954) reflected the growing political and military cooperation between the USA and Spain along with the influx of American capital and culture, while María Manuela (1957) became his most popular zarzuela of the decade. His output diminished as the public appeal of the zarzuela waned in the 1960s and his own work became increasingly seen as dated. Consequently, he devoted more time to conducting and recording, returning several times to Latin America to conduct performances of his own works. He continued to compose for the guitar, however, writing the Concierto de Castilla (1960) for Segovia, Homenaje a la seguidilla (1962) and Diálogos entre guitarra y orquesta (1977), among the best of his concertos. The two books of Castillos de España (1970 and 1978) for solo guitar are among his most notable successes in that genre. Among his last works is his second opera El poeta, first performed in 1980 with Plácido Domingo. Moreno Torroba was a major figure in Spanish music of the 20th century who flourished despite the political and social upheavals that surrounded him. His music has often been described as ‘castizo’, employing elements of folk and art music which are of distinctly Spanish ‘pure cast’. A nationalist, he believed that fidelity to Spain's heritage, rather than imitation of foreign models, would lead to the universality of Spanish music. His musical palette was not limited to strict folklorism, and he acknowledged a wider musical influence through the works of Debussy, Ravel, Franck, Wagner and, in later years, Bartók. His accessible, lyrical style maintains a strong sense of tonality through the use of conventional forms while judiciously employing extended triadic harmonies, modality, remote modulations and colourful orchestration. His zarzuelas also draw upon expressly regional motifs and references to traditional and contemporary urban culture. Moreno Torroba held many prominent positions including Comisario del Teatro Zarzuela, director of the Compañía Lírica and, from 1974, president of the Sociedad General de Autores de España, through which he served as a cultural diplomat. He was elected as the director of the Academia de Bellas Artes de S Fernando in 1978, and died four years later at the age of 91. Daniele Lazzari was born in Italy in 1972. His talent was recognized first when he won international music competitions at the beginning of his career, as in Padua, Salerno, Lecce and Ancona. In fact, Mr. Lazzari is valued for the freshness of his interpretations which are always meditated and enriched by a brilliant instrumental technique. Mr. Lazzari has appeared in many prestigius concert venues through Europe and Asia. For instance, he gave concerts at the Festetics Castle in Keszthely, the Buda Castle in Budapest, the Pisani Palace in Venice, the Ceramic Palace Concert Hall in Seoul. In 2016 he made his memorable debut at the famous Ferenc Liszt Music Academy in Budapest. 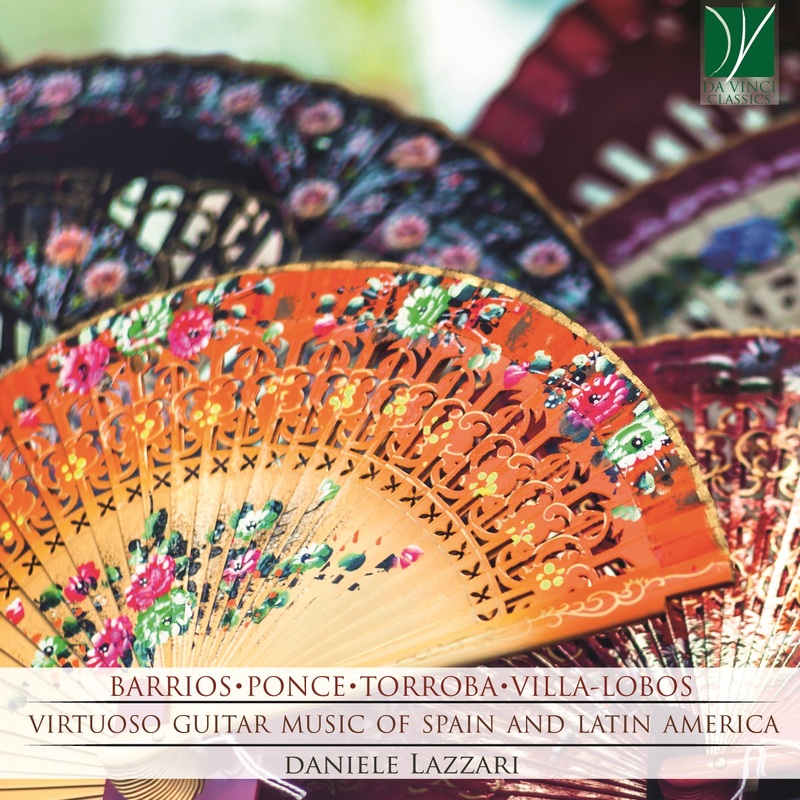 His first solo CD, titled “Classical Guitar Jewels” has been acclaimed for the freshness and expressiveness which he has brought in the guitar masterpieces of the 20th century. Daniele Lazzari has devoted himself to chamber music with numerous projects. Stably he has performed with Italian violinist Varina Fortin, Hungarian flutist Emőke Geszti, Japanese soprano Noriko Ogawa, Korean soprano Eun Kyoung Suh, Italian tenor Giuseppe Coluzzi, Italian guitarist Luca Fabrizio, Hungarian guitarist Annamária Fábián and Italian flutist Claudio Marinone. He has collaborated with the Extol Trio and the Estampas Quartet. The album “Sambossa“, recorded with flautist Mrs. Emőke Geszti, is an homage to the modern South American music. The CD won flattering reviews both by the critics and by the audience after it was introduced in a long concert tour in Switzerland. Lazzari has dedicated himself to contemporary music performing with large ensembles, often using live electronics and new technologies. He has performed and recorded premiered works by Italian composers at the Biennale in Venice. Mr. Lazzari has received his Master Degree in Performance with honors at the “Benedetto Marcello” Academy in Venice, Italy and has won a full scholarship from the European Union. His master’s thesis pertains the aesthetics of the guitar music of the mexican composer Manuel Ponce. He has improved his music skills with masterclasses under the guidance of world renowned artists as Carlo Marchione, Edoardo Catemario, Arturo Tallini, Giuseppe Pepicelli, Michelangelo Severi, Giampaolo Bandini (from Italy), Fabio Zanon, Celso Machado (from Brazil), Zoran Dukic (from Croatia), Sándor Szilvágyi, József Eötvös (from Hungary), Thomas Müller-Pering (from Germany), Alberto Ponce, Margarita Escarpa (from Spain), Roland Dyens (from France), Sharon Isbin (from USA) and Roberto Aussel (from Argentine). Daniele Lazzari has taught in Music Schools and Academies in Italy and Hungary and has given masterclasses in Hungary and South Korea. He is Professor at the “Ernő Dohnányi” State Music Institute in Budapest. As a composer, Daniele Lazzari is especially inspired by the music he loves, alternating contrapuntal writing to the impressionism of the harmonies. His guitar works have attracted the interest and appreciation and were played premiered by renowned musicians all around the world.